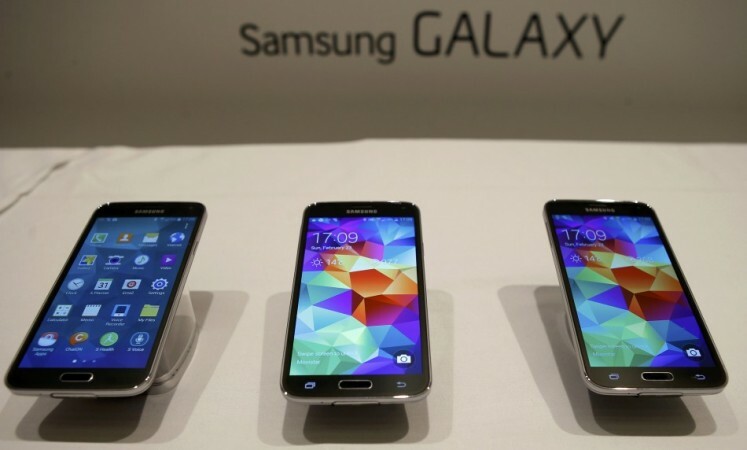 Samsung Galaxy S5, which was launched on 24 February amid lots of hype, is up for pre-order in a few online stores, more than a month ahead of its release. Price of the device varies from country to country. Samsung Galaxy S5, which was launched on 24 February amid lots of hype, is up for pre-order in a few online stores, more than a month ahead of its release. French multinational telecommunications corporation Orange has started taking pre-orders for Samsung Galaxy S5 in Romania for €249 (aproximately $342/₹21073) with two years contract and €699 (aproximately $960/₹59158) without contract and unlocked. Samsung's official Russian site has also put up the newly launched device on pre-order for 29900 rubles (approximately $829) but only white and black variants are available, according to SamMobile. Surprisingly, prices of Samsung Galaxy S5 listed for Romania and Russia have $100 difference, though both the listed prices are without contract and unlocked. The price listed in Saholic, an Indian online retailer owned by Spice Group, is even lesser with the site putting up the device for sale at ₹45,500 (around $735). The price of Galaxy S5 ranges between €667.30 (around $915.47/₹56,900) and €729 ($1000/₹62,100) across Europe. The South Korean electronics giant had earlier revealed that its flagship smartphone will be released on 11 April in 150 countries across the globe. Samsung Galaxy S5 sports a 5.1-inch Super AMOLED display with full HD (1920x1080p) resolution, having pixel density of 440ppi and runs on Android v4.4.2 KitKat OS. It is powered by 2.5GHz Snapdragon 801 (32-bit architecture) series processor. The device has a few value-added features like fingerprint sensor for secured unlocking of the screen and safe mobile payment, water and dust-resistant certifications, camera with fast autofocus speed up to 0.3 seconds, advanced High Dynamic Range (HDR), and fifth generation Wi-Fi 802.11ac and 2X2 MIMO with Download Booster.